It's my daughter's 12th birthday today! Last week, I was asking her what cake she wants...and she said she prefers to celebrate with a plain cheesecake. But last weekend while we were having lunch, she told me she wants something with peanut butter. I thought that's what she really wants 'coz she soooo loves peanut butter. But then the other day, she said she'd rather have an Oreo cake. 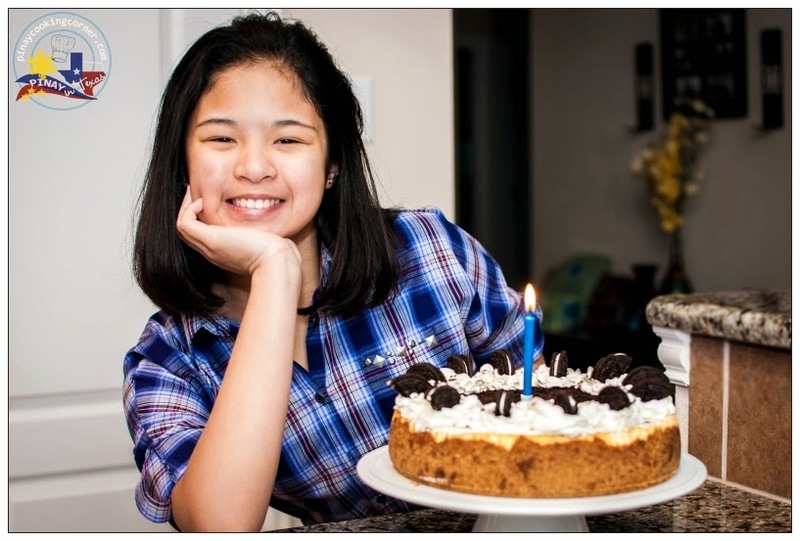 There I realized that she's not even sure of what cake she really wants...so I thought I'll just make something that would let her enjoy all three - plain cheesecake, peanut butter and Oreo! And that is how I came up with this Cheesecake with Peanut Butter Graham Crust and Oreo Topping. 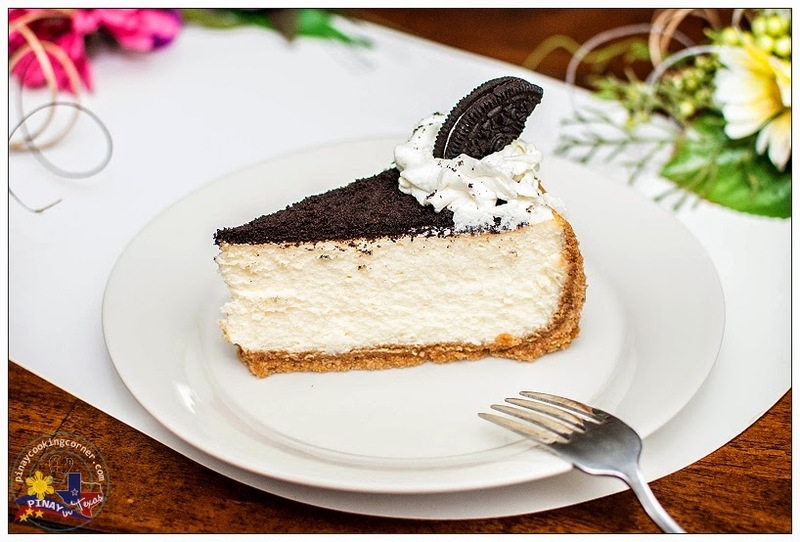 This is one simple cheesecake recipe that's perfect for the peanut butter and Oreo lovers out there. It's also easy to make. 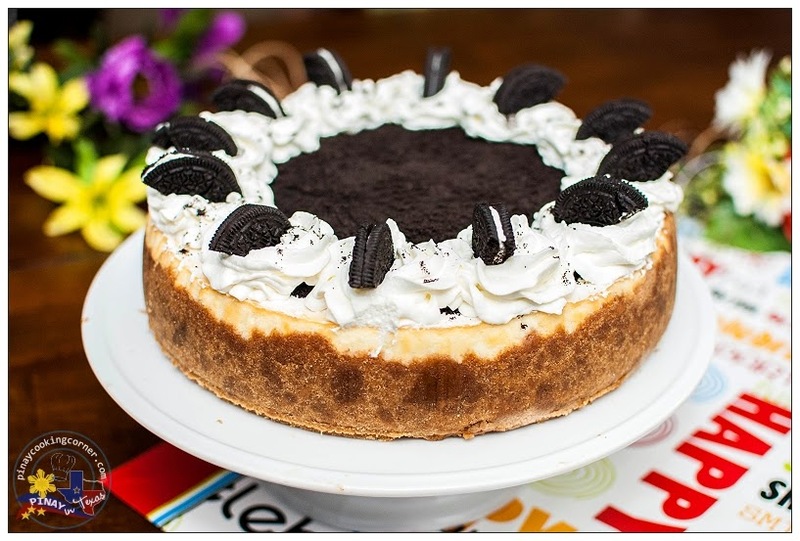 No need for water bath because the top of the cheesecake will be covered with whipped cream and Oreos so nobody will really notice if it darkens or even if it cracks. But no need to worry about cracking; as long as you don't overbake, you're fine! The birthday girl loves her cheesecake! She said it looks fabulous and is really yummy and has the perfect balance of peanut butter and Oreo! Try it for yourself and let me know what you think! 1. 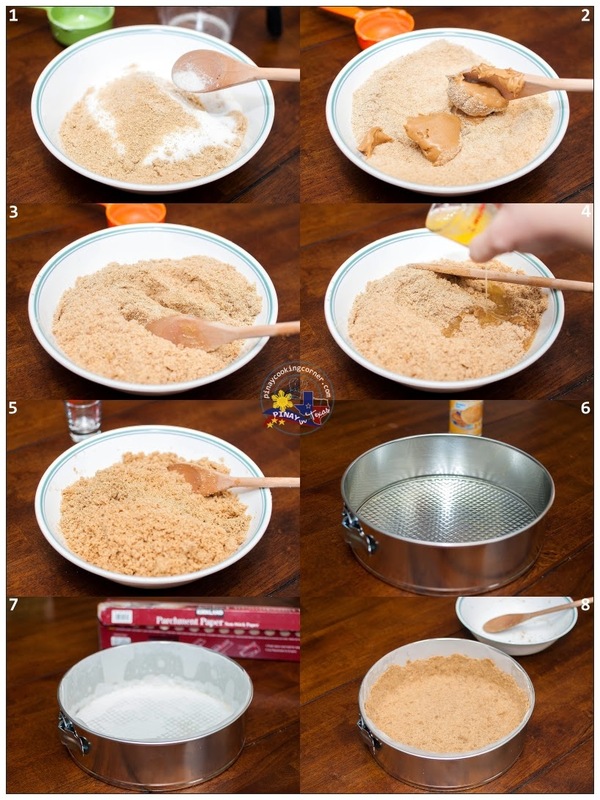 In a large bowl, mix graham cracker crumbs and sugar until well combined. 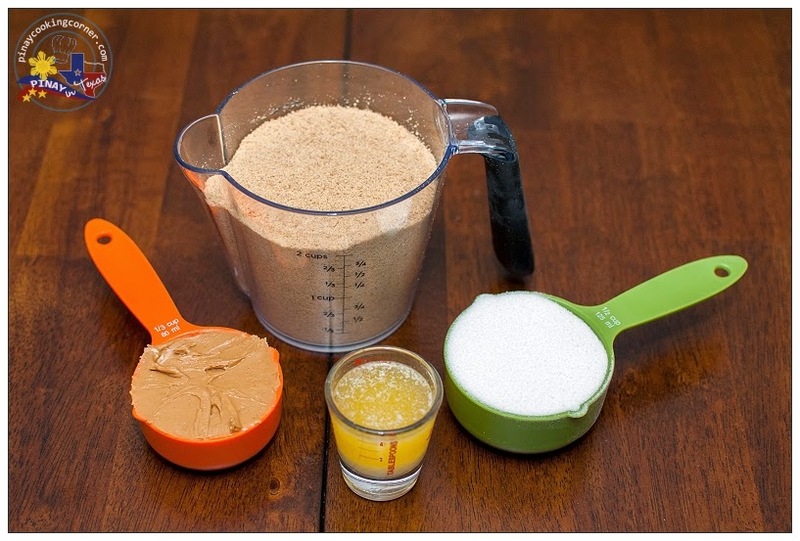 Add peanut butter and mix thoroughly. Add butter, 1 tablespoon at a time, and knead with your hand until mixture sticks together. 2. Grease the bottom and sides of a 10-in springform pan then line with parchment paper. Press mixture evenly into the bottom and halfway up the sides of the pan. Refrigerate the crust while preparing the filling. 1. Preheat oven to 350°F. 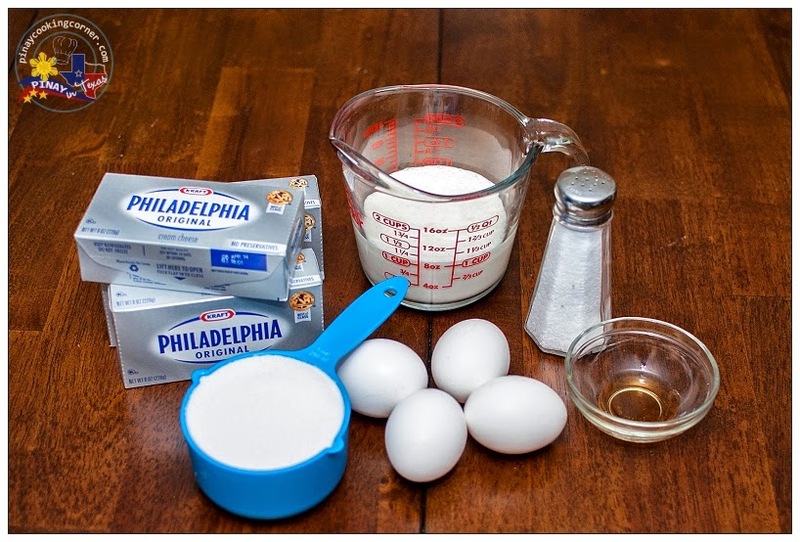 Place the cream cheese in the bowl of an electric mixer. With the paddle attachment, mix on medium speed for about 4 minutes or until smooth. Add the sugar, beat for 4 minutes more. Add the salt and vanilla, beating after each addition. Add the eggs, one at a time, beating for one minute after each addition. Add the heavy cream, beat until incorporated. Remember to scrape down the sides of the mixer bowl, and scrape up any thicker bits of cream cheese that have stuck to the bottom of the mixer that paddle attachment has failed to incorporate. 2. Pour into the prepared crust. Bake for 45-50 minutes or until center is almost set. Turn off the oven. Open the oven door 1-inch, and let the cake cool in the oven for about an hour. This will prevent the cheesecake from cracking and sinking. Remove from oven. Allow to cool down completely. Cover the pan with foil or cling wrap then refrigerate for at least 4 hours. 1. 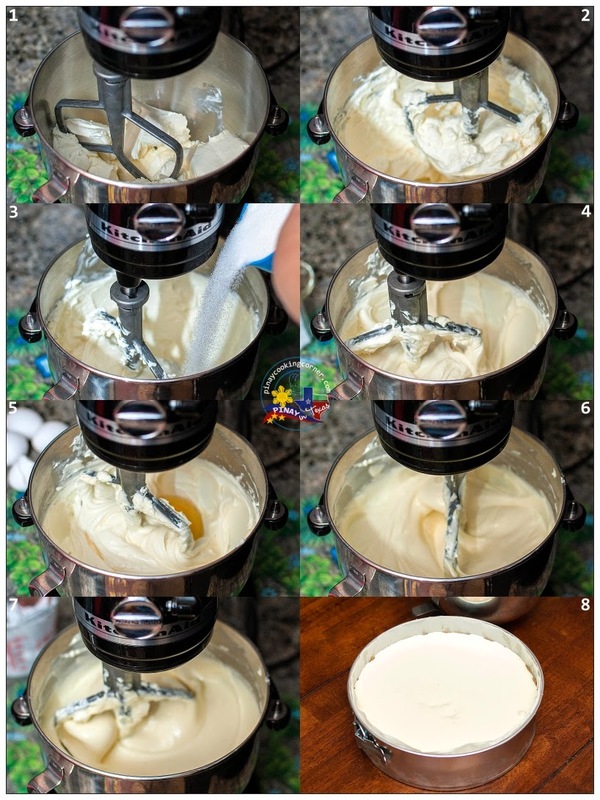 In a bowl, whip cream and 2 Tbsp sugar on high speed using whisk attachment of mixer until soft peaks form. Set aside. 2. Take the cheesecake out of the refrigerator. Put pan on a serving plate. Open the springform latch and gently open the pan and lift up the sides. Gently slide the cheesecake off the bottom of the pan then carefully remove the parchment paper from the sides of the cheesecake. 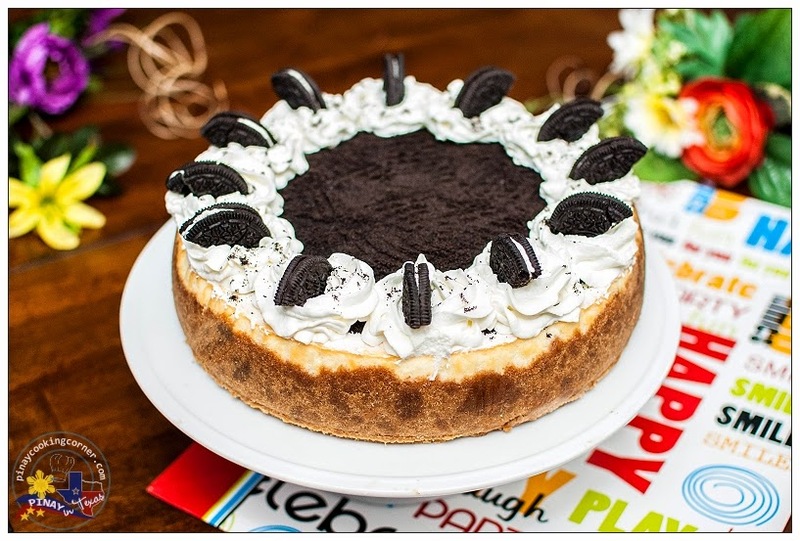 Apply a thin layer of whipped cream on top of the cheesecake then sprinkle Oreo crumbs on top. Put remaining whipped cream in a piping bag. Pipe 12 rosettes all the way around the top edge of the cake. 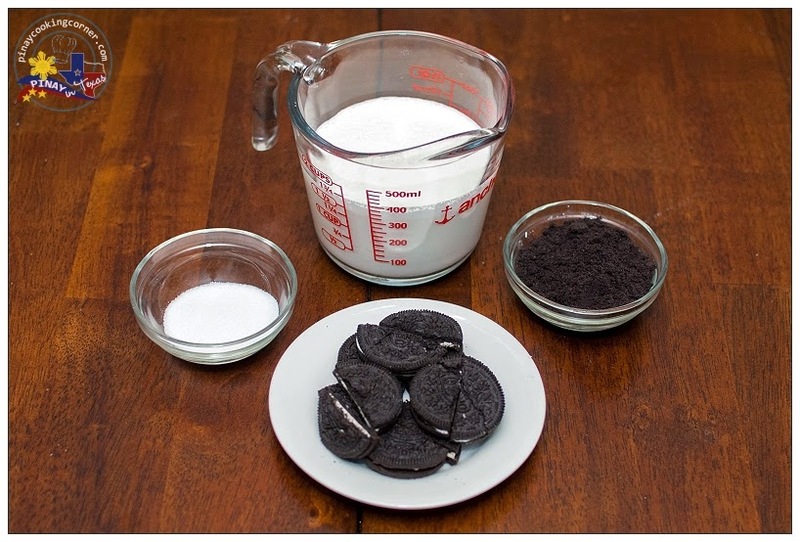 Top each rosette with an oreo half. Refrigerate until ready to serve. 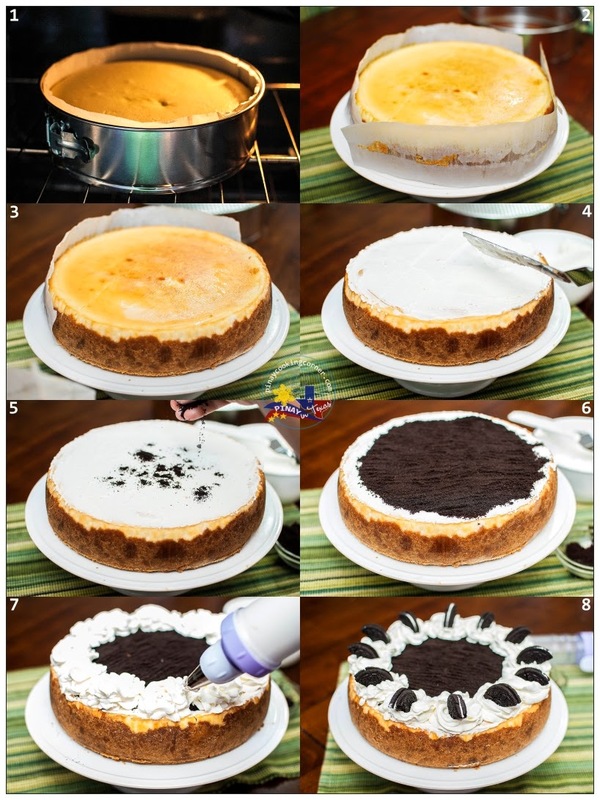 I bookmarked this to try next time I make a cheesecake. I love the PB in the crust and the cookies on top- combines some of my favorite flavors, too! Happy birthday to Clarisse. What a beautiful birthday girl. I think her special cake would be perfect for MY next birthday. Oh she is almost a lady na pala. Belated Happy Birthday! yummy cake. soon I can try your recipes na. Aren't you going home? We just arrived in the UAE 2 weeks ago and still in the process of adjustment. homesick.